If you need to remove a cloud server from your account and delete all of its data, you can follow the below steps to destroy your instance. Navigate to the Compute page. Click on the Manage button of your instance to access the instance management page. 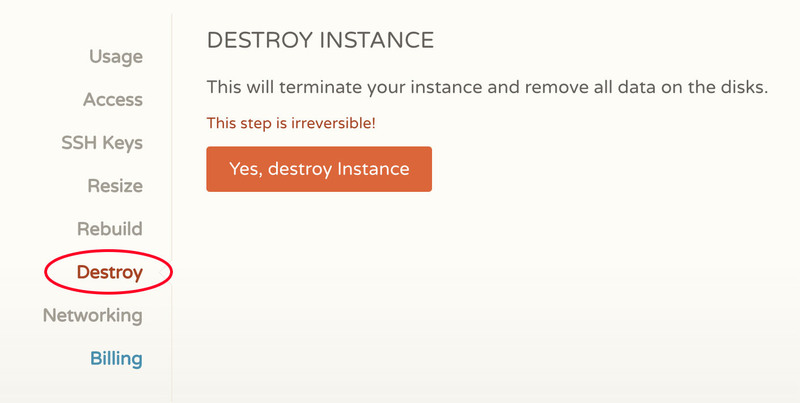 From here, click on the Yes, destroy instance button to destroy your instance.